Goodness gracious. 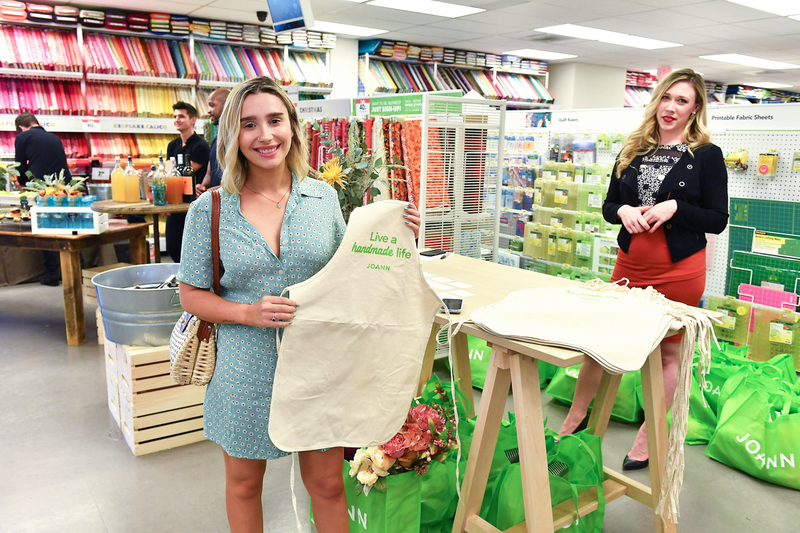 I just got back from Los Angeles, California where I attended a very fun and special event hosted by JOANN Stores! 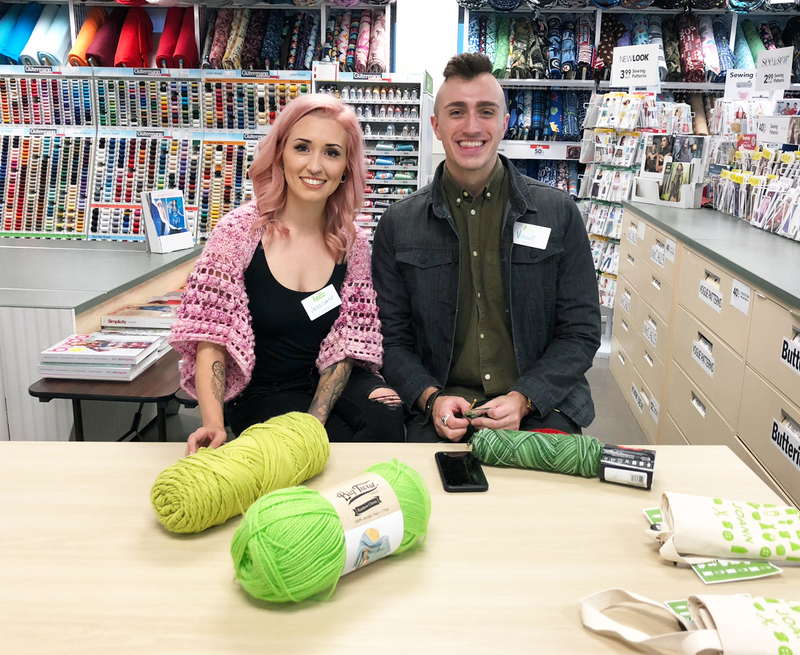 They have recently remodeled their store located in West Hollywood and both myself and Vincent from Knot Bad had the opportunity to head down to L.A. to join in on the celebration! We arrived at the store at 9am and I had the opportunity to meet two people from JOANN I had chatted with via email for the past couple years - it was so cool! Both Amanda and Shauntina were so so nice and it was just so cool to meet them in real life! We met several others who are part of the JOANN team, including the Regional District Manager, Jeff, who I chatted with about my local store! 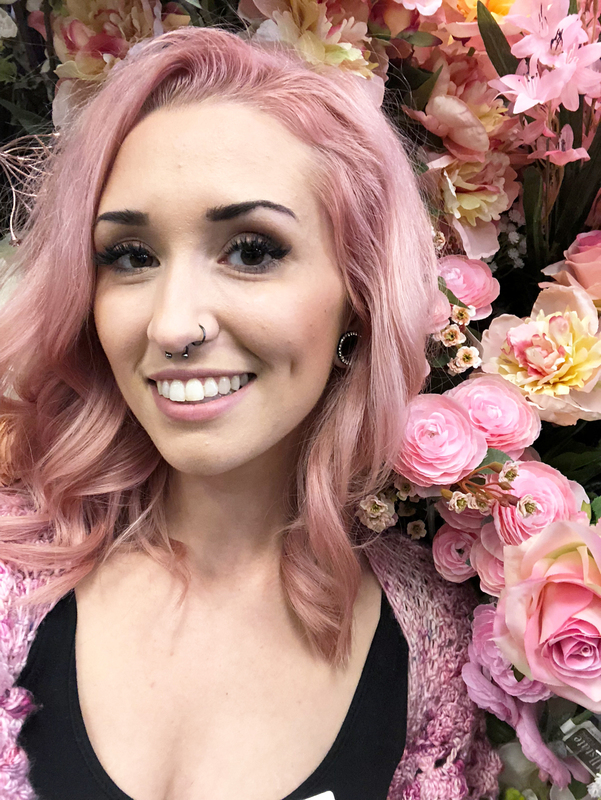 We shared our mutual appreciation for the store manager, Tiffany. It was so awesome! I also met Richard who was the creative mind behind the creation of the JOANN concept store located in Columbus, Ohio. He is such a genuinely creative human and to be able to brush shoulders with someone like him was incredibly inspiring! 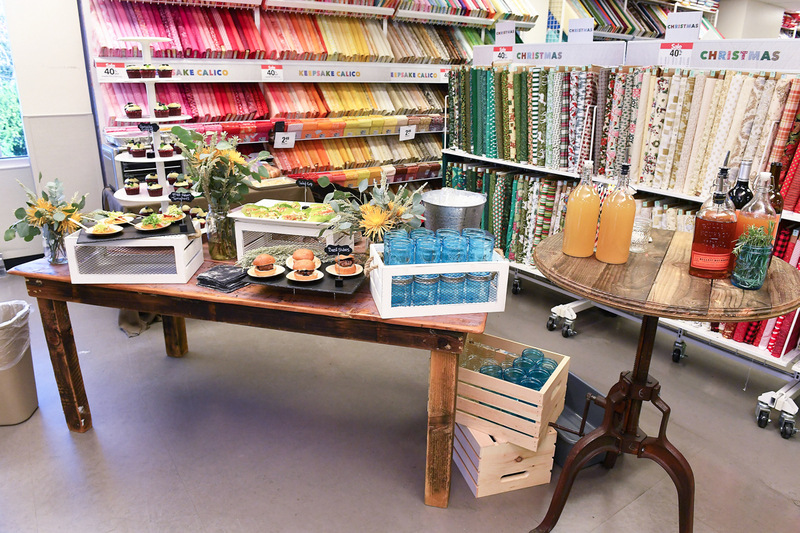 During the day, we took over the JOANN Stores Instagram page (@joann_stores) to share all about the new remodel and the different ways they were celebrating the event which started later in the afternoon. But this store was so cool! 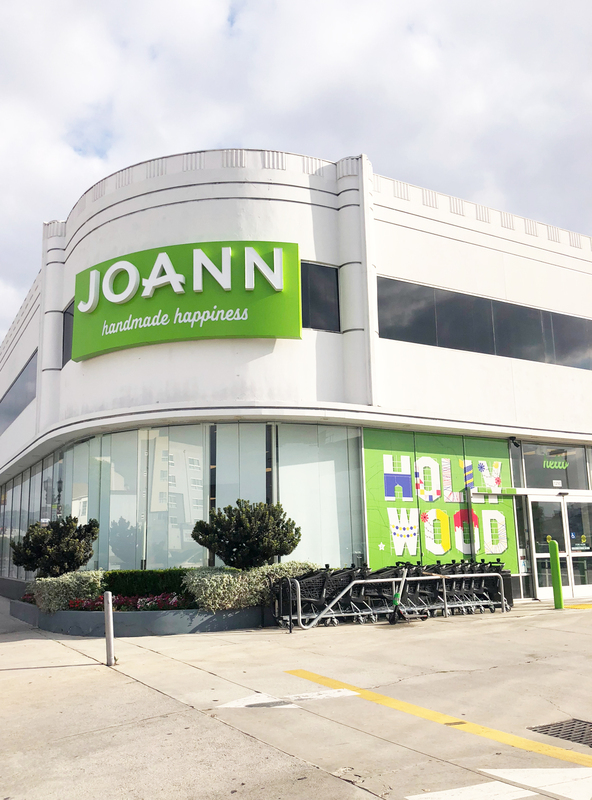 JOANN Stores has recently rebranded and their pop of green is so fresh and ignites such an awesome sense of creativity for me! 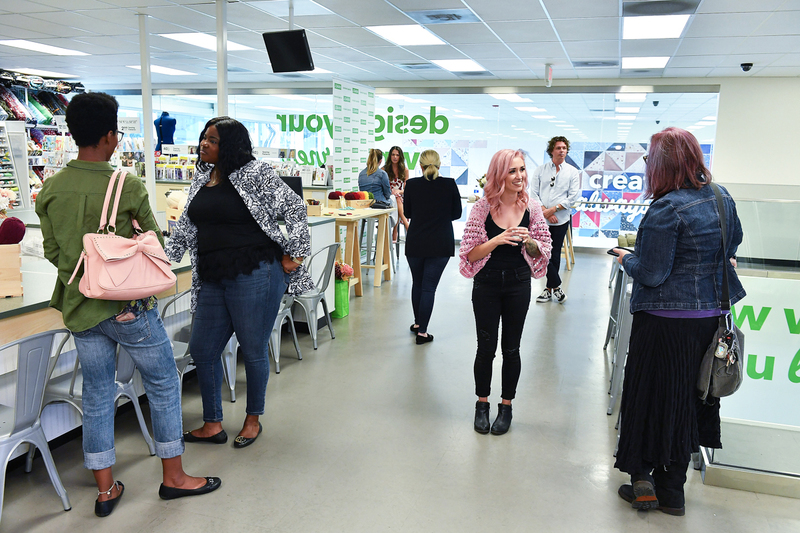 They used the branded green in their signage both inside and outside the building and it was all so cohesive and inspiring! The exterior of the building even had RAD posters that really make the store feel young and really inviting! Definitely a place I’d WANT to go to for my craft supplies because it’s just so much fun being there! 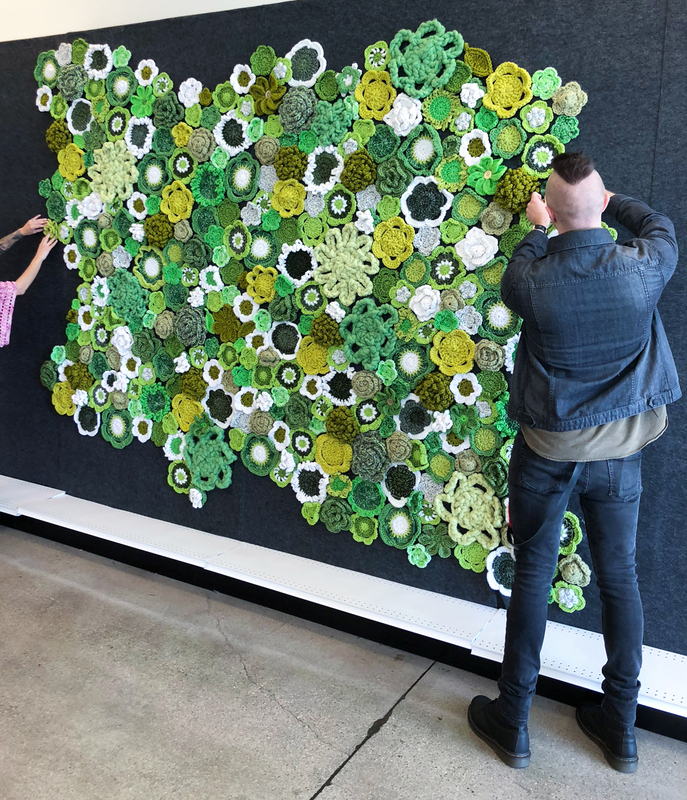 As soon as you walk into the front doors, they had assembled a HANDMADE crochet flower yarn wall. You guys, I can’t even believe the amount of work that went into this project. Let me explain.. I was told that they had originally created the piece in Ohio at their corporate headquarters, rolled it up, then shipped it out directly to the L.A. Store. After the team from corporate arrived in L.A., they spent FOUR HOURS getting up and assembled and making it perfect for event day! What amazing dedication! So worth it!! Later in the afternoon is when all the amazing chaos started. But first, can I tell you something that sounds quite silly but really just made me freak out a little?! So, I knew that Sutton Foster would be at the event (think actress from the show, Younger, a two-time Tony Award winner, and a highly respected Broadway actress and singer). I had mentally prepared myself to not be a fangirl but the second she came in and KNEW WHO I WAS AND SAID SHE FOLLOWS ME I nearly fell backwards out of shock but had to keep cool. Hahahahaha! Sutton was a genuinely kind and sweet woman and I am so grateful to have had the chance to meet her! Not only did I get a few moments to chat with her, but I also was able to sit down and crochet a little bit next to her. 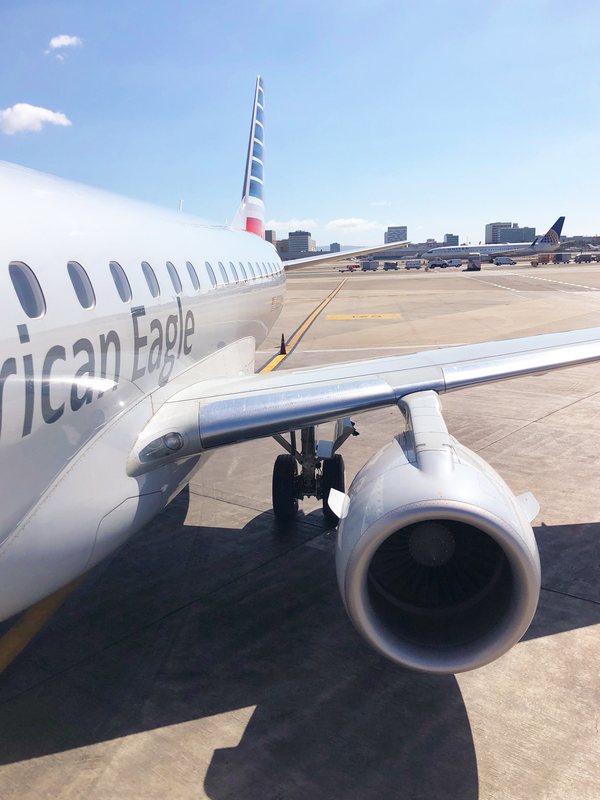 She had mentioned that she loves to crochet and really loves to make corner-to-corner blankets - she even showed up with a darling little purse she had made and finished on the plane while on her way to the event! Take a look of how adorable she and her handmade purse is! 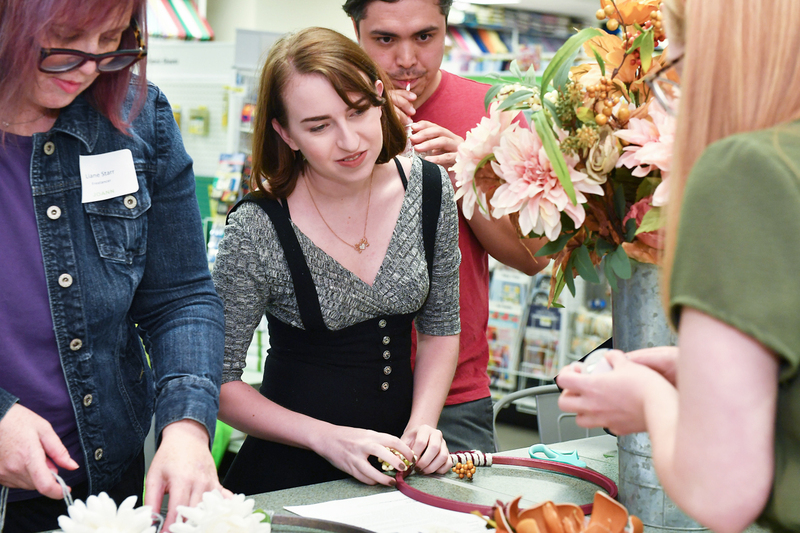 Once the event got started, JOANN went all out to really make for a special event! 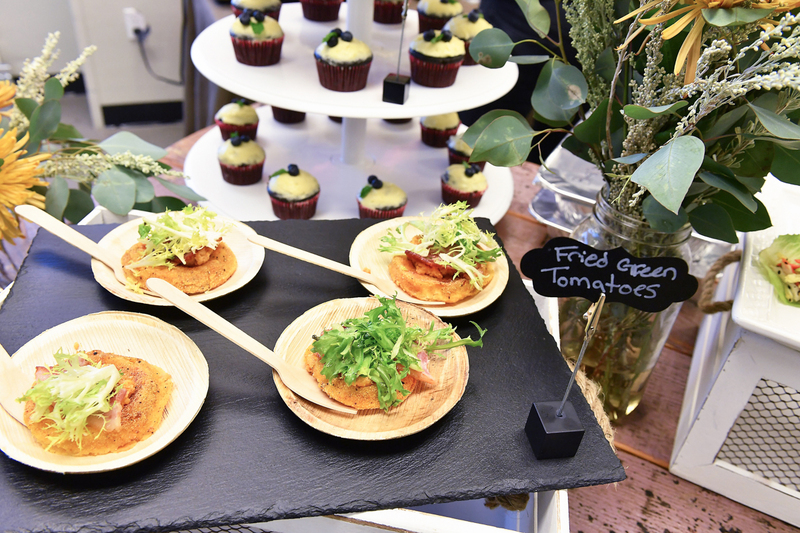 As attendees, we were able to enjoy a catered event that included some super unique treats! From macaroni bites sitting in potato skins, fried green tomatoes, fried chicken in waffle cones, delicious cupcakes and even some adult-friendly beverages ranging from (my favorite) wine, beer, cider and even a special bourbon cocktail created just for that evening! 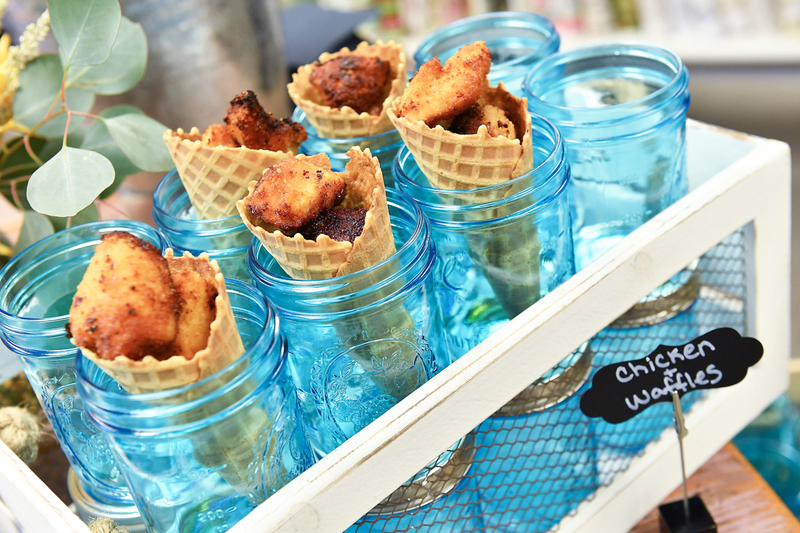 Everything was served in such a cute way from little mason jar cups, to fabric napkins… it was all just so much fun! In addition to attendee treats, we also were able to walk away with some SERIOUS swag bags. Just look at everything that was included!! I’ve officially hung my JOANN apron up in my office and have already decided on some new projects using some of the yarn that isn’t shown below.. SO MUCH GOOD STUFF! While we all mingled and stuffed our faces, we also had the option to CREATE. 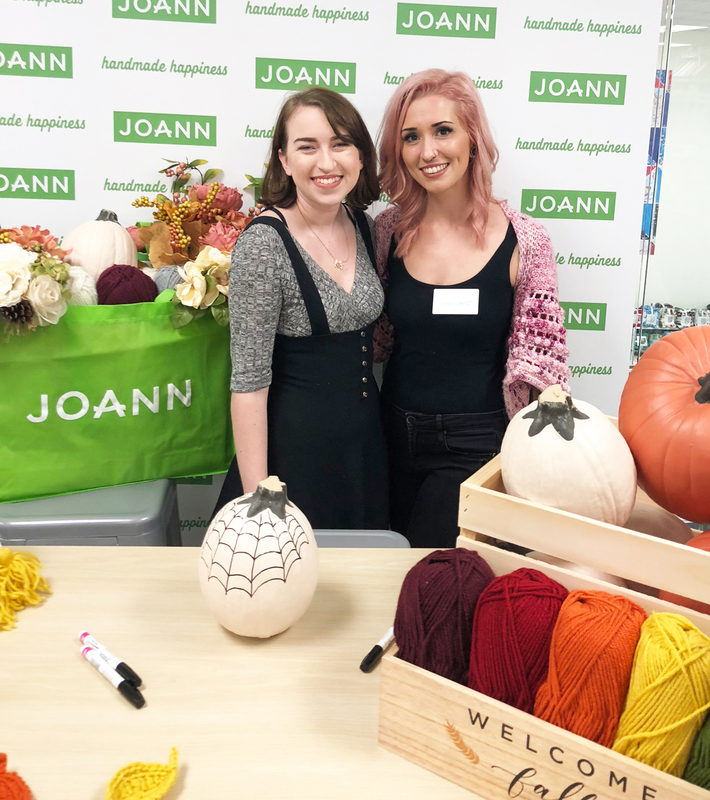 From crocheted leaf cards, to decorated pumpkins, to gorgeous wall hangings using yarn and florals, the whole shebang was every crafter’s dream come true. 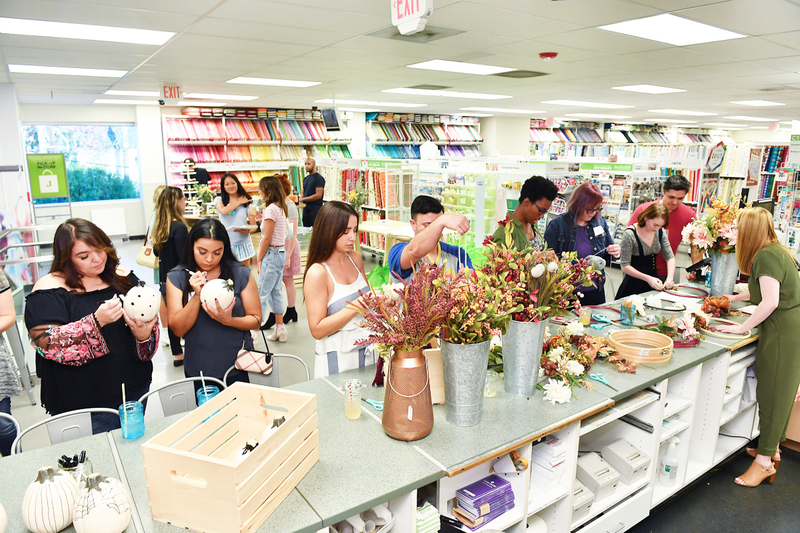 Everyone was able to tap into their inner creativity and leave with handmade goodies using products all available at JOANN Stores! 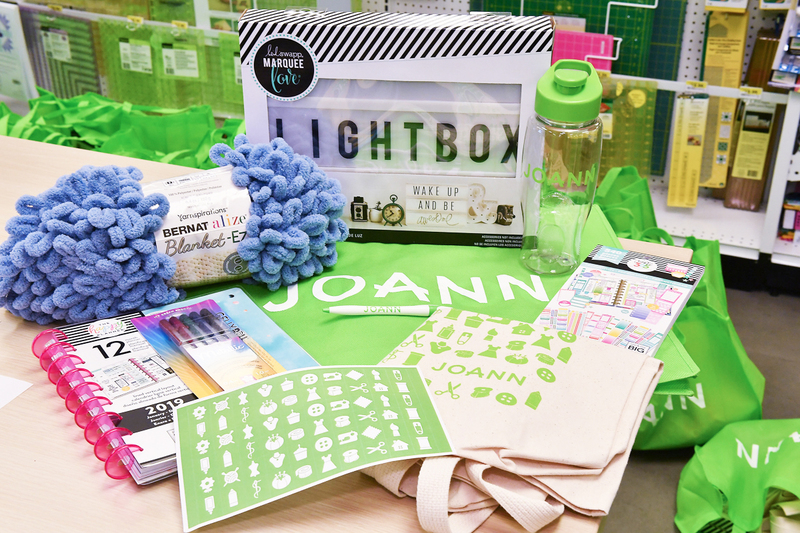 You guys, I grew up going to JOANN Stores to get everything from paint to coloring books to beads to stickers, everything! This is a store that has sentimental meaning for me and to be able to attend such a special event was a moment I’ll remember forever. I’ve had the pleasure of partnering with this wonderful company for a few years now and each year just keeps getting more and more special. 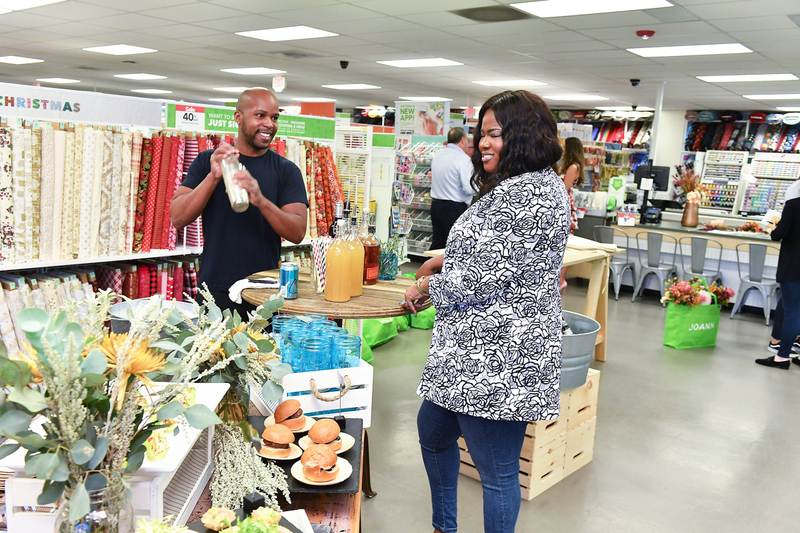 Thank you to everyone at JOANN who helped make this dream become a reality and for allowing me to participate in the celebration of this newly remodeled store. 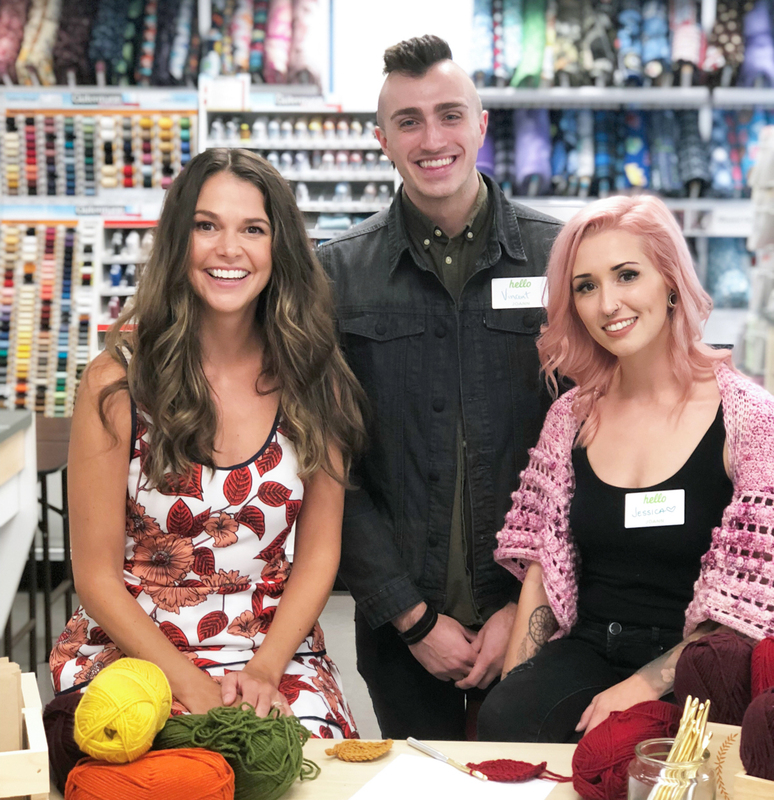 I am consistently blown away by how future-focused and creatively-inspiring this company is and how it truly is their goal to bring crafting into our new generation and create a space where people WANT to go to get their crafting supplies. 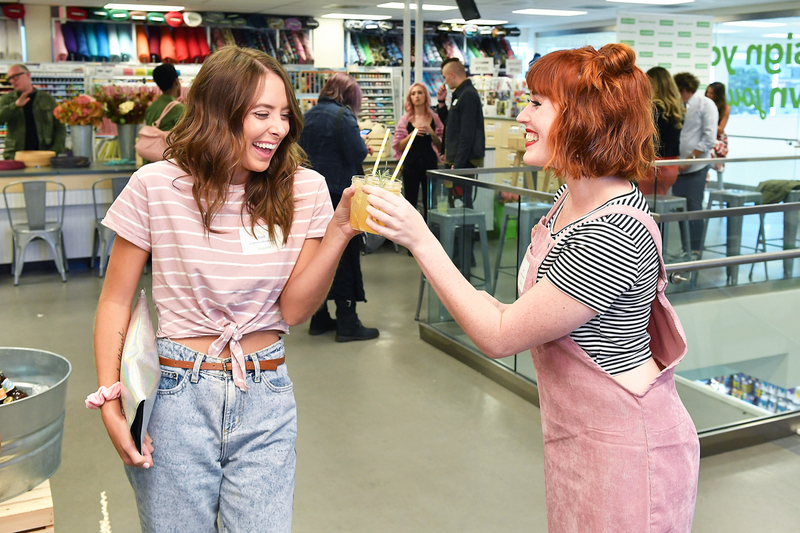 From helpful team members, to tear pads in each aisle encouraging you to make something.. to the creation of their concept store (check it out here! 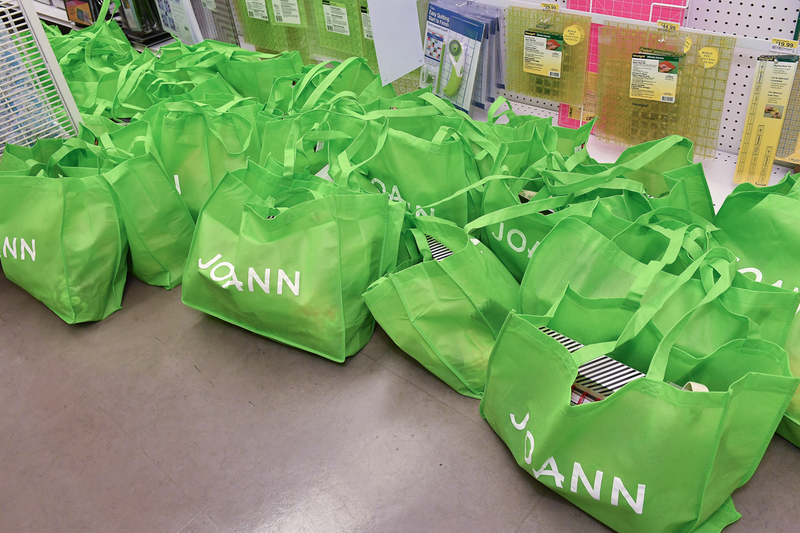 ), JOANN is doing it right. 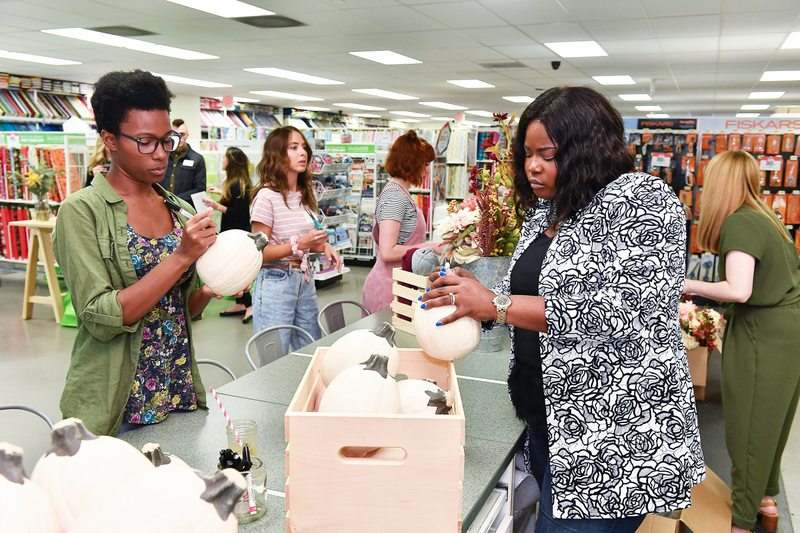 Instead of walking into a craft store with a craft in mind and needing to find those materials, you can, instead, walk into your local JOANN store with no project in mind but leave feeling motivated and inspired to make EVERYTHING. 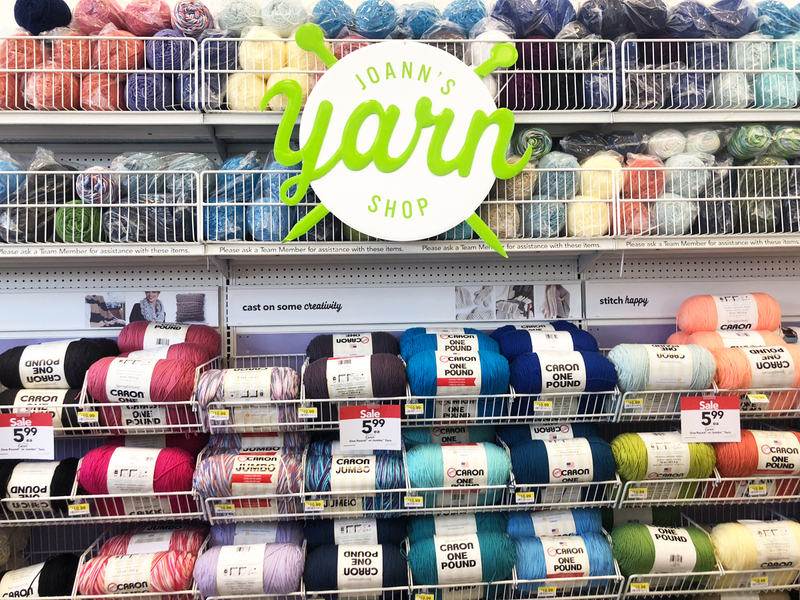 Thank you, JOANN, for being everything that a craft supply company *should* be. You guys are the real deal. 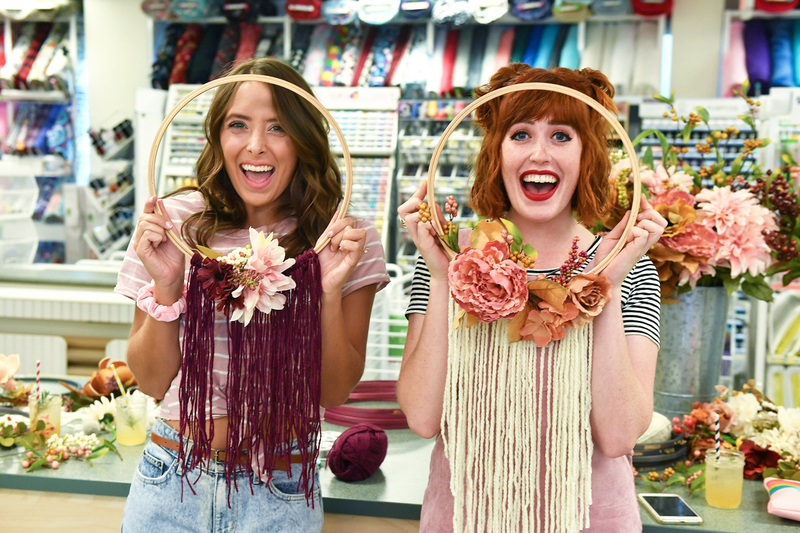 What is your favorite thing about JOANN Stores? Tell me below! !